A historical reality is that the first “thanksgiving” meal in the United States was celebrated by Spanish settlers, in what became Florida. This was explained by Historian Dr. Michael Gannon as he explained was occurred on September 8, 1565. 1. “When the first Spanish settlers landed in what is now St. Augustine on September 8, 1565, to build a settlement, their first act was to hold a religious service to thank God for the safe arrival of the Spanish. 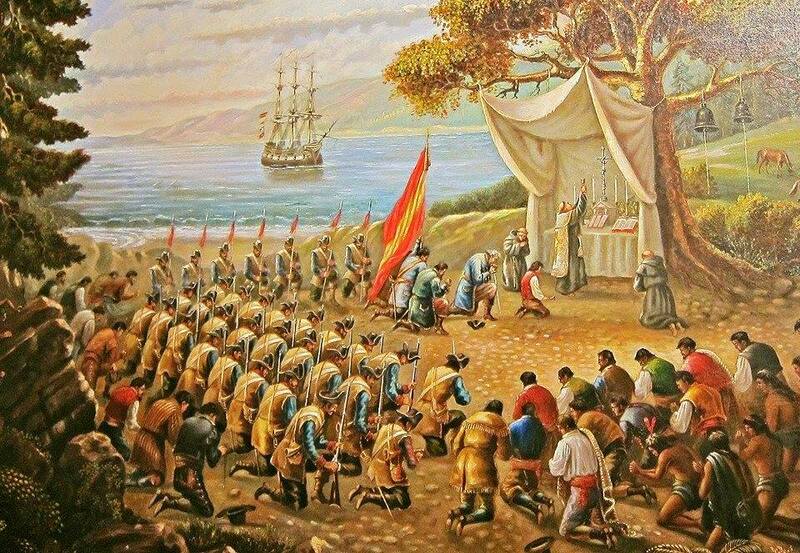 FIRST they Celebrated the Holy Mass, Father Francisco Lopez, the Chaplin of the Spanish ships, insisted that the natives from the Timucua tribe be fed with the Spanish settlers. 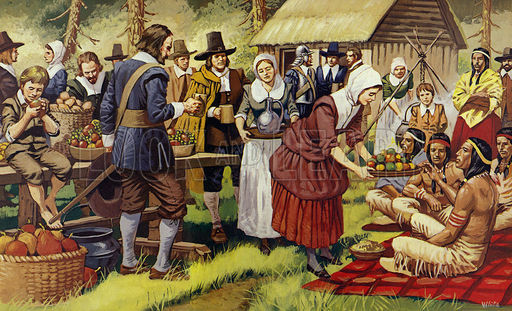 This was the very first Thanksgiving and the first Thanksgiving meal in the United States. 2. The Spaniards, with food that they brought with them on the ship, made the communal meal. History tells us that the meal would probably involved salted pork, garbanzo beans, bread and red wine. HAPPY THANKSGIVING and Remember to THANK GOD with your Family! All praise, honor and thanks be to God! Happy blessed Thanksgiving too all!